Antoine de Coux did not live long enough to realize the completion of his work. Madame Suzanne Laurenty, who also followed Oliveira’s courses, finished the editing project resulting in this seminal book. Concepts and quotations are organized and punctuated to be faithful to the Master’s teaching. This collection of words of advice constitutes the Wisdom of Master Nuno Oliveira, and we trust the reader will find it valuable and practical. 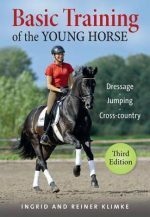 This book presents a coherent, rich and outstanding contribution to the equestrian literature and extends Nuno Oliveira’s legacy in an extraordinarily life-like manner. This one and only English edition is further enhanced by the expert translation of native Frenchman Jean Philippe Giacomini. A friend of Antoine de Coux and fellow student of Nuno Oliveira, he possesses first hand knowledge of the Master’s teaching and is an equestrian scholar and a remarkable dressage trainer. Antoine de Coux, a magistrate in the Belgian Congo, was undoubtedly one of the most loyal students of Master Nuno Oliveira. From 1966, when they met and became close friends, until Oliveira’s death in 1989, Antoine de Coux participated in the annual two-month training sessions that Nuno Oliveira held in Belgium. De Coux was a fine rider, watched every lesson and took copious notes, filling more than forty notebooks. He faithfully recorded the teachings and remarks of the Master. When Oliveira passed, de Coux decided to organize this great “memoir of a life experience,” so that all riders could benefit from this knowledge. Nuno Oliveira was an exceptionally talented educator, gladly repeating his concepts with different descriptions to suit the level of understanding of his wide range of students.